10 amp charging, fully automatic, charges to a full charge and then shuts off automatically. Comes back on if battery discharges. Charging and charged lights indicate state of charge. Digital display shows volts, amps and percent of charge. 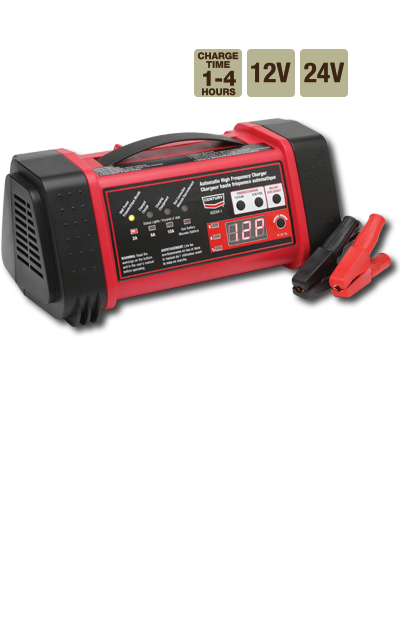 Automatic charging for both 12 & 24 volt batteries. High Frequency charging de-sulfates batteries-lengthens battery life. Built-in diagnostics-detects faulty batteries and reverse connections.